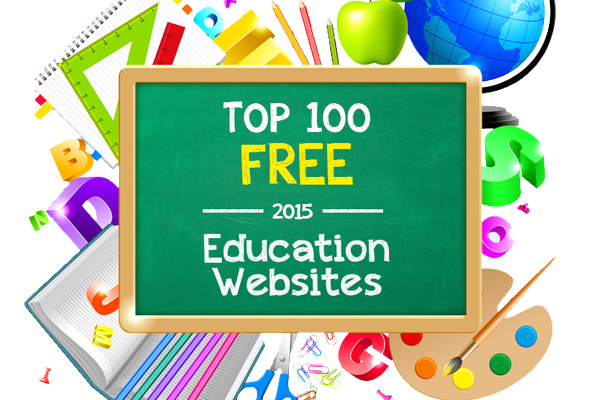 For the past two years, Help Teaching has brought you our Top 100 Free Education Sites. This year, we’ve updated our list once again. Not only have we rounded up the top free sites for teacher math, science, English, and social studies, but we’ve also added some of our favorite computer science and coding sites to this list this year. Educating Yourself Health and Safety Educational Games Coding new! Power My Learning gives parents, teachers, and students a way to find some of the best free learning activities online. By creating an account they can save activities and browse activities by standard. Users can also recommend activities to add to the site. Kidblog offers a simple, safe blogging platform for teacher. While there may be fancier systems out there, there’s something to be said for simplicity and Kidblog does its job well. Find games and activities for early readers, as well as texts for advanced readers in this collection of high-quality reading websites. In addition to these sites, Help Teaching offers a large collection of public domain and original reading passages organized by grade-level, word count, and Lexile level. Media Literacy Clearinghouse introduces students to a new type of literacy – media literacy. With all of the new technology and messages appearing everyday, it’s important for kids to be media literate. Awesome Stories uses non-traditional reading materials, such as biographies and primary source texts to get students learning through reading. Students can use the site to help with research and teachers can use the texts as part of lesson plans. Creating an account allows users to access audio versions of many of the titles as well, making it an ideal site for auditory learners and those with learning disabilities. ReadWriteThink gets students to participate in critical thinking and reading activities through its lesson plans and student interactives. Writing Fix offers a wealth of interactive writing prompts for all grade-levels, with many focused on the 6+1 Traits of Writing, and also offers real-life examples from classrooms around the world. Purdue OWL is an online writing lab from Purdue University that provide students, particularly those in high school and college, with everything they need to know about writing a paper, including grammar advice and paper formats. Teachers can find primary source documents, high-quality lesson plans, and connect students to history, geography, government, and other areas of social studies online. Chronas is a new history resource that seeks to give students’ a better understanding of history. It visually and chronologically organizes Wikipedia information to create a unique digital textbook of sorts. iCivics offers high-quality and engaging games for students to play and learn about civics. Lesson plans help teachers incorporate the games in the classroom. HSTRY gives students the chance to create free interactive timelines and engage in collaborative learning. Not all websites focus on elementary math skills. While many of these games do work well for elementary-age students, many of them also provide games and lesson plans for students tackling subjects such as algebra, geometry, and calculus. Yummy Math connects math with the real-world through timely new stories and other reading passages. Wonderopolis shows kids a wonder of the day and then gives them a chance to test their knowledge or join in on a discussion related to that wonder. Kids will be surprised by all of the cool facts that they learn and they may spark some interesting discussions in the classroom. Science Made Simple gives kids science experiment ideas and other science project topics, as well as help preparing for a science fair. The Artist’s Toolkit introduces kids to the tools and mediums artists use to create their works. They’ll even find videos of artists hard at work in their studios. Artpad from art.com turns everyone into an artist. Just click anywhere and start creating. Then add your art to the gallery. NGAKids Art Zone allows kids to explore popular art movements, themes, and painters and offers guides to help teachers as well. Encourage kids to think beyond One Direction and their other favorite artists and experience new types of music. Kids can learn about the symphony and classical music or even build their own musical skills by learning about ear training or playing instruments online. Classics for Kids regularly highlights famous composers and provides teachers with activities to incorporate into the classroom. KIDiddles has lyrics and audio files for over 2,000 kids songs for music teachers, or any teachers, to use in their classroom. McGruff the Crime Dog has been helping kids learn about safety for decades. His interactive website features games, articles, and videos about safety for kids. Education World has undergone a site redesign in the last year so that its main page now highlights the latest news in the world of education, including interesting research and controversy. With the introduction of open courseware and TED talks educating yourself online has never been easier. Find access to actual college courses and learn what you want to know from the experts in the field. This year at Help Teaching, we launched our own line of lessons that students can use for self-directed learning. Open Education Consortium allow you to search for open courses around the world. It also provides news on the open courseware movement. Youtube has been around for a long time, but that only supports its awesomeness. You’ll find a lot of videos tutorials on everything from fixing a car to learning how to beat a difficult level on Angry Birds. Don’t forget to check out Help Teaching’s YouTube channel too. HomeworkSpot provides students with links, resources, games, and reference materials to help them build their skills and help them complete their homework..
Planboard gives teachers a place to organize lessons, track standards integration, and even collaborate with one another. The site also features a public lessons database. Did you favorite sites make the list? If not, share them in the comments. Maybe they’ll make 2017’s list of the 100 Best Free Education Sites. Remember to check out Help Teaching for all of your worksheet and printable needs too. Thanks for sharing all these amazing resources. You can use this link (http://bit.ly/1DOs9Of) to download it from the Google Play store.